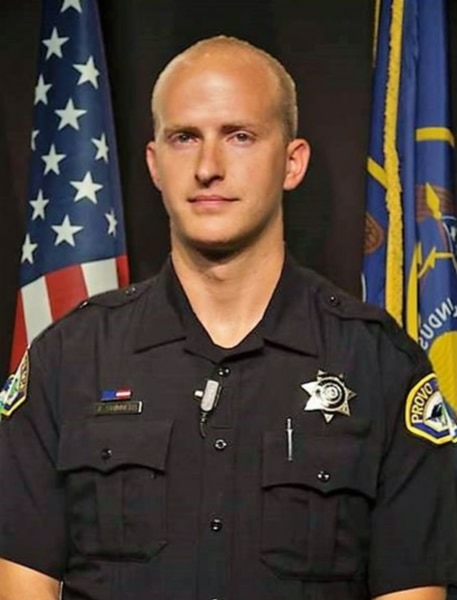 Provo • A Provo police officer was shot and killed Saturday night in Orem while attempting to arrest a fugitive who reportedly had been threatening violence toward law enforcement. 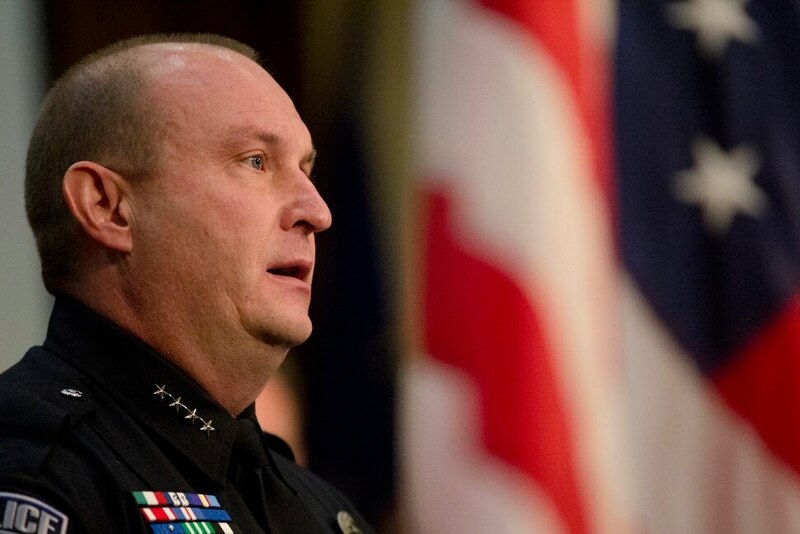 The suspect is under guard at the hospital and will face multiple criminal charges, possibly including aggravated murder of a police officer, Orem Police Chief Gary Giles said at a Sunday news conference. Officials said they were not going to identify the suspect Sunday. The focus, they said, should be on honoring Shinners, a three-year veteran of the force who leaves behind a wife and 1-year-old son. Authorities disclosed few details Sunday about the shooting and said more information will be released as the investigation matures. Dupaix said Shinners was assigned to patrol — uniformed officers who drive in marked cars policing traffic and answering calls for service — and assisted in an effort to apprehend a wanted fugitive. Over the past month or so, police learned the man had made threats targeting law enforcement, but Giles declined to describe these threats or how they surfaced. Police at about 9:53 p.m. Saturday received information the male suspect was in a parked car near a Bed Bath & Beyond store at 50 W. University Parkway in Orem. Provo and Orem officers arrived and tried to “quickly and tactfully" arrest the man, who was accompanied by a female, Giles said. Authorities didn’t detail what transpired in the moments leading up to the shooting, but Giles said Shinners was struck in the gunfire that broke out. It appears that Shinners returned fire and struck the suspect at least once, Giles said. Giles said he didn’t know whether officers other than Shinners discharged their guns. Orem police will be handling the criminal investigation, he said. Dupaix said an Orem police officer suffered a minor hand injury during the encounter but not from the gunfire. On patrol, Shinners had spent much of his time in Provo’s central business district, and he was also a member of the department’s SWAT team, Ferguson said. He had served on the agency’s bicycle patrol and as a field training officer. Shinners hailed from the Boston area and from a public service-oriented family, Ferguson said; his father is a retired firefighter, and his brother is a Massachusetts police officer. Between emotion-filled pauses, Ferguson said Shinners was one of his agency’s all-stars. Stories about Shinners flew between his friends, colleagues and family as they spent a sleepless night in the hospital, Ferguson said. In one of them, Shinners hugged someone he’d just arrested to offer comfort. "That was the kind of cop he was," Ferguson said. The chief said he was posthumously promoting Shinners to the rank of master officer. Shinners' police cruiser will be parked outside the Provo department so people can come pay their respects. During the news conference, Provo Mayor Michelle Kaufusi offered her condolences to Shinners' family and co-workers. “To Chief Ferguson and all of our officers: Today reminds us of the prices that you have always known your noble calling could someday mean. You have chosen to live in a world that most of us could hardly fathom,” Kaufusi said, clutching a tissue in her right hand. Rep. John Curtis, R-Utah and a former Provo mayor, expressed his condolences as well and vowed that Utahns “won’t forget” Shinners' service. It's a sad day in Provo. One of the City's Finest was shot and killed outside a business late last night in Orem. I pray today for the family, friends, and fellow officers who know and love him. I hope they'll find peace. Thank you for your dedication. We won't forget. Dupaix said the Provo officer who was killed was beloved by his colleagues and community members alike. 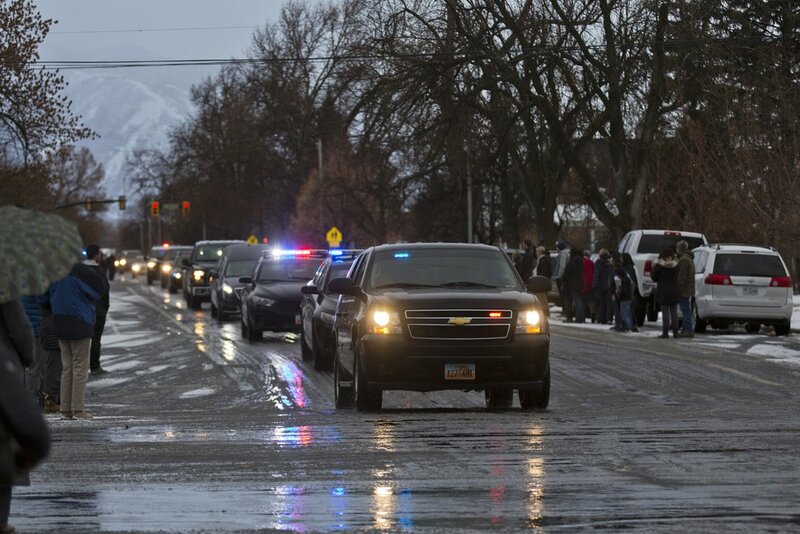 Shinners is the third Utah officer to die in the line of duty in the past few months. South Salt Lake Police Officer David Romrell was killed Nov. 24 when he was hit by a car in a confrontation with two burglary suspects. Officers shot and killed the driver and later arrested the passenger of that car. In October, Brigham City Assistant Police Chief Dennis Vincent died after having a brain aneurysm and stroke during an annual physical fitness test. 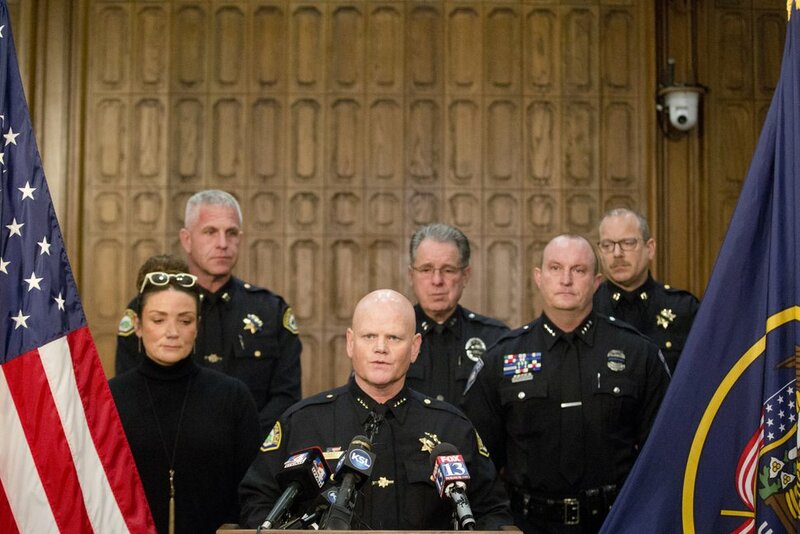 Utah now has lost 145 police officers in the line of duty, five of them from the Provo Police Department, said Sol Oberg, Utah Law Enforcement Memorial president and Kaysville police chief.